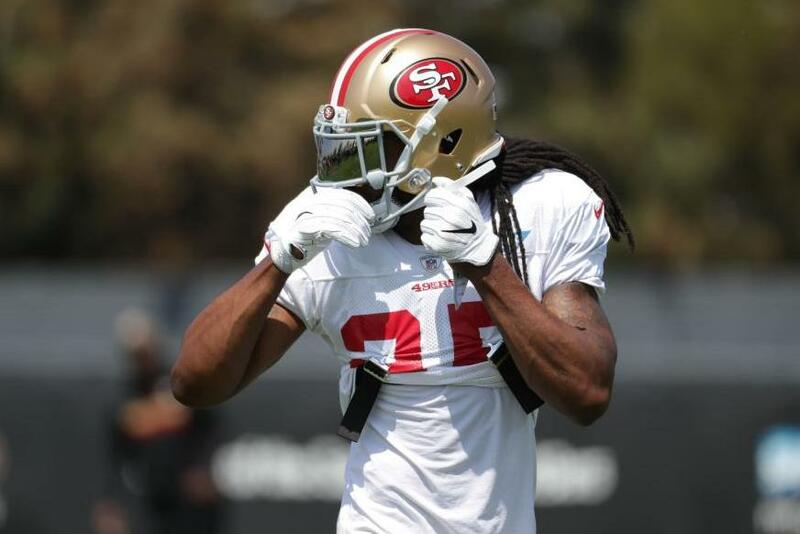 Cornerback Richard Sherman, the San Francisco 49ers' prized free-agent signing this offseason, fell hard during practice at training camp on Friday and left the field. [post_ads]49ers head coach Kyle Shanahan said after practice that Sherman "went down hard," and that he was pulled from the field as a precaution when it appeared his hamstring tightened up. Sherman reportedly left the field under his own power. The 30-year-old Sherman, who was a four-time Pro Bowl selection with Seattle after the Seahawks selected him in the fifth round (No. 154 overall) out of Stanford in 2011, is coming off surgery on both Achilles tendons. Sherman was not cleared to practice until right before training camp and the 49ers have said they will give him occasional days off as a precaution.